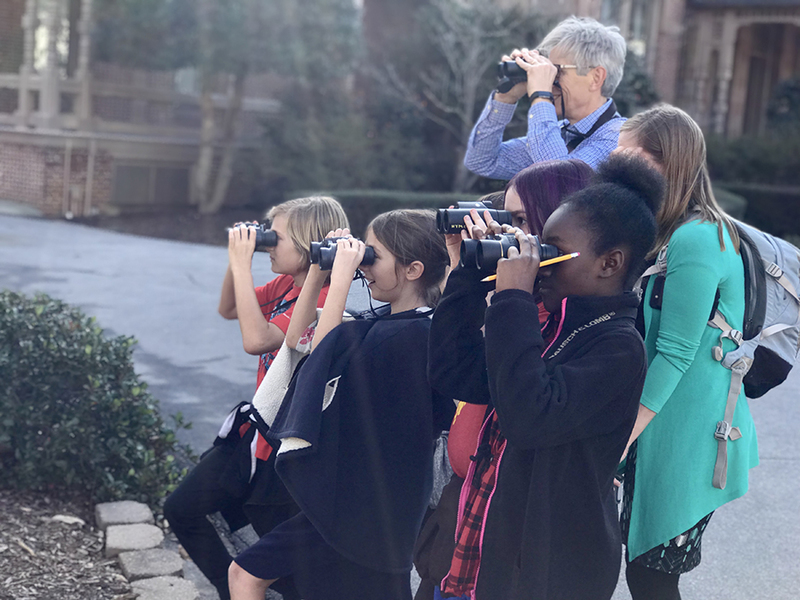 After years of watching the Raleigh area lose green space to urban development, Christina Harvey decided to create a more bird-friendly garden. “Replacing some of that landscape is one small thing I can do to help save our favorite birds,” she says. Harvey, an avid gardener and one of more than 1,200 members in the Wake County Audubon Society, says that personal enjoyment is a major benefit to having a bird-friendly garden. Homeowners know the joy of listening to birdsong and watching colorful birds flit around their yards and feeders. 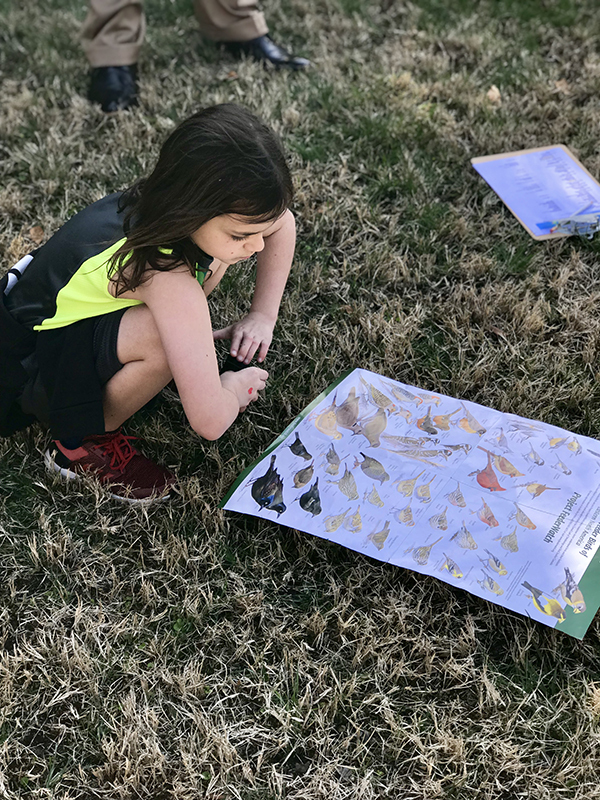 Kim Brand, field organizer for the North Carolina Audubon Society, says birds also provide a crucial role in maintaining a healthy ecosystem. Birds eat a variety of insects, from mosquitos to caterpillars, keeping the insect population in balance. Birds are also pollinators and efficient seed dispersers, creating forests that have both ecological and economic value. To help maintain a healthy bird population, it’s necessary to landscape with native plants that support the insects and caterpillars birds like to eat, and, as Brand notes, “Non-native plants that don’t have a shared evolutionary history with the insects that live here are basically a food dessert for our birds.” Or, perhaps worse, they are providing junk food. 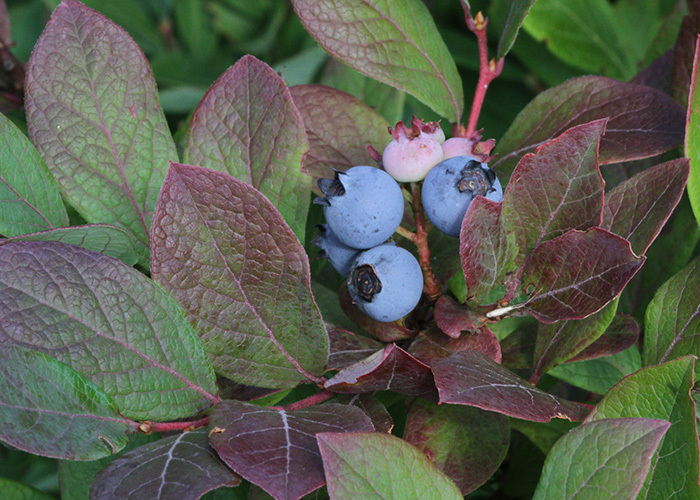 Many of the popular non-native landscape plants, like privet, don’t support the necessary insects that feed our birds. Insects either don’t perceive their leaves as food, cannot bite them, or find them toxic. While these plants can be used as shelter, they are not a food source for our insects or birds. Some non-natives are actually poisonous to birds. For example, the berries of nandina have proven fatal to cedar waxwings. bird-friendly choice. The birds will keep the insects off the plants, and there will be berries for both birds and people, as well as caterpillars for baby birds. Other small bird-friendly shrubs include flame azalea and spicebush. If you have space for only one plant on a balcony or patio, Brand suggests planting a trellised container with coral honeysuckle. The bright red tubular-shaped flowers attract hummingbirds, while finches and robins will eat the red fruit. Supplemental feeding is very beneficial during the winter season, and suet blocks are especially appreciated on bitter cold nights. The Audubon Society recently began advising people to leave hummingbird feeders up year-round as rufous and other species are showing up more regularly during the winter months. Seed heads of flowers and ornamental grasses are also a valuable food source during the coldest months. To ensure bird populations remain healthy, aim to reduce the use of pesticides in your landscape. Allow for some imperfection, and don’t be overly concerned about nibbled plants. Rely on the natural food chain to keep many pests in check.